Meet Gloria Doty! 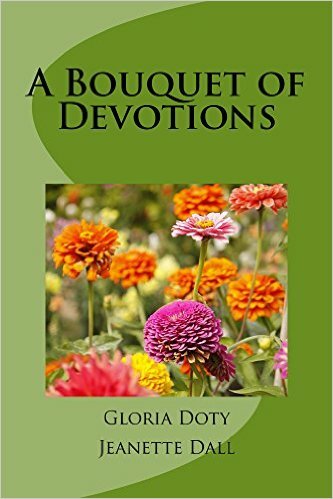 Gloria Doty is a published Christian writer, author, speaker and blogger. She has 5 children, 13 grandchildren and 7 great-grandchildren. 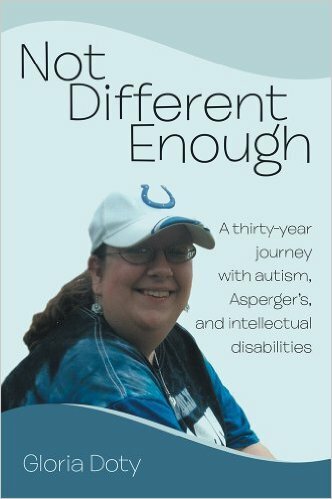 She currently lives in Fort Wayne, Indiana with her adult autistic daughter, 1 dog and 2 cats. Gloria and I met a few years ago at a writing conference. As you will see, Gloria has a great sense of humor and a zest for life! Me: Gloria, I am so excited to interview you for my blog this week. Welcome. Gloria: I know it will be fun today. February 24 is my birthday so it is great timing! Me: Well, I know you’ve seen how I do this. I have a few questions I think my readers would ask if they were here with us. Many of them are relatively new to the writing/publishing game. So let’s get started. I want to start with your latest book and then talk a bit about the journey to get there. I read Bring a Cowboy Home and loved it. A romance for baby boomers? Yes! Tell us about the book. Gloria: Bring a Cowboy Home is the first in a series of three contemporary Christian romance novels. All three will be released in 2016. (Feb, May, and the fall.) They are written and covers designed. Each book can stand alone, but they are the continuing story of Cal and Lucy Frasier. Cal is a 62-yr-old Texas rancher and Lucy is a 59-yr-old successful, wealthy businesswoman living in Illinois. They have many obstacles to overcome besides distance if they want to make a life together. Adult children and secrets from the past are just a few of them. Me: It is a fun and entertaining book. How did you come up with the title? Gloria: I have a daughter and her family living in Texas. Several years ago, my best friend took me to the airport in Indianapolis to board a plane to visit them. I was divorced and always being teased about looking for a husband. As I was about to board, she shouted, “Bring a cowboy home.” The book is dedicated to her. She lost her battle with breast cancer but I never forgot her advice. Me: I love it. I boarded a plane for Texas last September wearing a cowgirl hat (Where can you pack it?) I was reading a book when my seatmate arrived. In his distinctive Texas drawl he asked, “Goin’ home?” I thought that would make a great opening line. Then I read your book. What fun. Tell us, what do you hope will be the big “take-away” from the book? Gloria: I wrote this romance hoping it would help my readers realize two things: People in the 50-100 year-old age group are not dead to romance and affection and passion. I believe there are millions of baby boomers who will enjoy reading about romance that isn’t all about twenty-year-olds. The second reason was to show the need for prayer in everyday life and the positive effects it has on my characters’ lives. Me: Your main character, Lucy is a vibrant, independent woman. I take it these are qualities you admire in women. Gloria: Oh, sure. I am partial to strong women. I like a woman who can make decisions and face tough situations. Having said that, I also admire a woman who can admit she needs comforting and a shoulder to lean on. And let me say, too, I most value honesty and loyalty in a friend. Me: Oh, yes. That actually comes out in the book as well. So, tell us, how long have you been writing? Gloria: I wrote my first story as a homework assignment when I was in third grade. I wrote many things after that but never pursued selling them or publishing anything…until 1979. I sold my first freelance article for $75.00. I didn’t seriously write until 2011. The time between those dates was filled with LIFE: 5 children, a farm, owning a business and other things that took my time. Me: Sounds like so many people I know. But at some point, you made a decision to take your writing seriously. What led you to become an author? Gloria: My fifth child has autism, Asperger’s and mild intellectual disabilities. I saw a need to let other parents of special needs individuals see what life could be like as these children grew. I like to say it took ten years to write that book: one year to write it and the first nine years talking about writing it. I was told by an editor it would have to be totally transparent and was I prepared for that? I decided I was and told the story of her first thirty years as honestly as I could. I included the laughter and the tears and the mistakes I made everything in between. Me: Not Different Enough. I’m familiar with it. Can you tell us a bit about the publishing journey? Gloria: Bring a Cowboy Home is my third published book and they have all been done differently. The first one, Not Different Enough, was published by Author House. I paid to have it published. The second book, A Bouquet of Devotions, was published on CreateSpace. There was no cost, but lots of work. I learned formatting, cover design and a zillion other things. I checked out Booktrope for my present novel, my first fiction book. Booktrope is a unique hybrid publishing design. I investigated it thoroughly and decided it was the right place for me. Me: Got it. Where there is a will there is a way, right? What advice would you give to aspiring authors for writing and/or publishing? Gloria: Never stop writing; ideas, scenes, thoughts, grocery lists…whatever makes you think. Publishing takes a lot of decision-making. What type of publishing is best suited for you? Consider all your options and research them until you are comfortable with your choice. Don’t be afraid to change that choice if you find a better way. Me: Great advice. Certainly the publishing opportunities are wide and varied. Can you tell us a bit about your current project? Gloria: I am working on a book about an older woman and the young man who inadvertently falls in love with her. It involves online dating and society’s disapproval of ‘cougar’ relationships. It will also be classified as a contemporary Christian romance novel. Me (laughing): I’m sure it will be fun as well. Okay, I have one more, quick question. Are there any books out there you wish you had written? Me: Thank you so much for joining us today…and again, Happy Birthday! I hope the book series does well. You can find Bring a Cowboy Home on Amazon.com. I’ve linked all of Gloria’s books to their Amazon site. Just click on the title you are interested in viewing. Leave your comments below...and don't forget to wish Gloria a Happy Birthday! 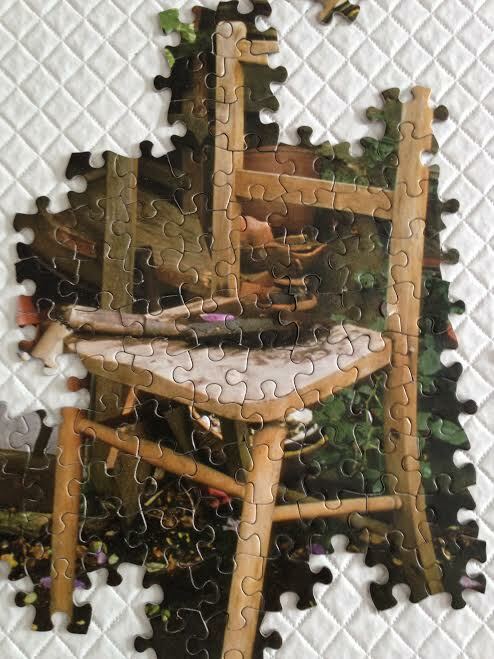 As I go through this series of comparing the working of a jigsaw puzzle to writing a novel I am working a puzzle on my dining room table. It’s a slow go…but then so is writing. I first put together the straight edges. 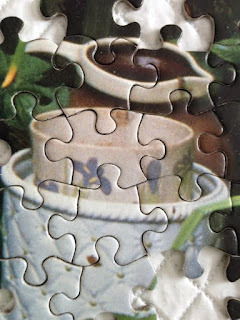 I sorted several pieces by color and then started finding the pieces that stood out in the picture on the box –the pieces that when put together created the focus of the picture on the front of the puzzle box. 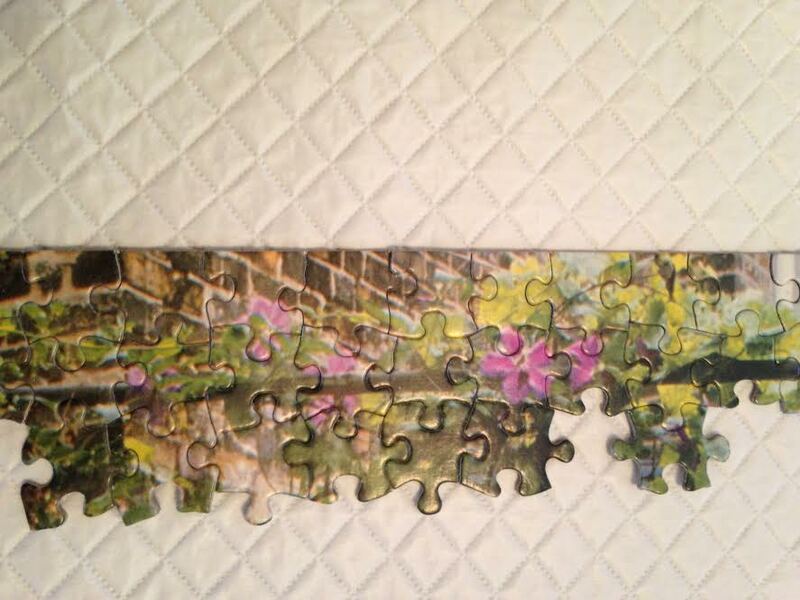 The puzzle I chose to use is a picture of a garden. There is an old chair on the stone patio, an earthen pot in one corner. Flowers spill over the garden wall. It is the promise of springtime. The picture is a composite of elements. The chair alone wouldn’t tell the story, nor would the flowers or setting. It is, in essence, a compilation of scenes. Before I wrote my first novel, Breathing on Her Own, a more experienced writer told me to identify eight to ten specific scenes significant to my story and write each down on a separate piece of paper. Her suggestion was to draft those scenes or at least sketch them out a bit then write from scene to scene. When she talked about scenes she wasn’t talking about locations but rather about situations where action takes place. I say that because during a workshop with some new writers, I had that question posed to me. Scenes are those pivotal points that carry the story –move it forward. Remember last week when I shared what I remembered about the formula for writing a romance novel? There is that scene when boy and girl meet. There is the scene where they have conflict, the scene where they have a first kiss and so forth. And, oh, yes…the wedding scene of course. The next step is to connect those scenes –to write your way from scene to scene. I remember my daughter holding up a puzzle piece long ago saying, “Is this blue like the sky or blue like the water?” It is all part of the background. 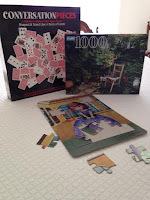 I think part of what connects the pieces or in our case, scenes together is the backstory. Writing from scene to scene is a great place to weave in the backstory. Those connecting points provide the reader with insights about your characters and offer opportunities to reveal minor subplots. You’ve found the straight edges of your book. [Click HERE if youmissed last week’s post on those four straight edges.] Now you need to build the scenes…one piece at a time. Take my friend’s suggestion. Draft eight to ten scenes then write your way from one scene to another. Do you have a strategy for developing or connecting scenes? Share with us. Remember, we’re all in this together. Oh, and you will not want to miss next week. 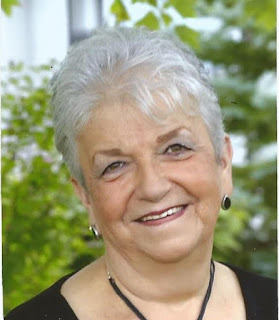 My guest is author Gloria Doty. I just read her new book, Bring a Cowboy Home. It is fun, entertaining, and all in all, a good read. 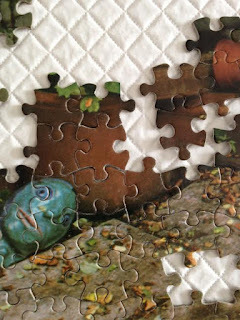 If you read last week’s post you know that I am looking at working a jigsaw puzzle as a metaphor for writing a novel. Last week’s post was about keeping our eye on the “box.” [Click HERE if you missed that one.] Today I want to talk a bit about a strategy experienced puzzlers use early on: finding the straight edges. 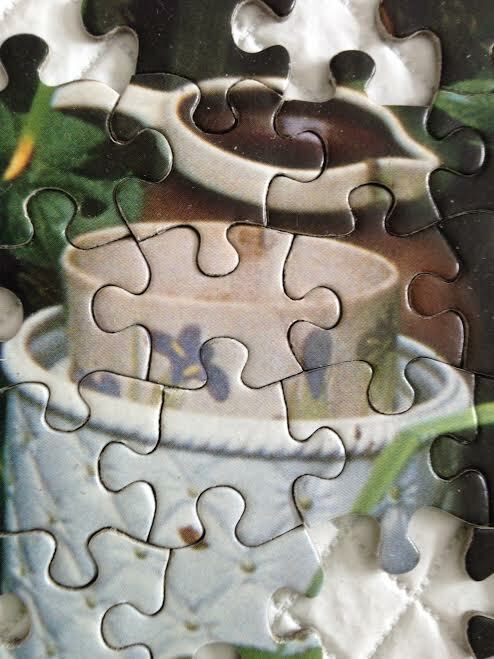 For the jigsaw puzzle, the straight edges offer definition. They create a framework wherein the picture will be completed. I think that’s where novelists begin as well. As many puzzles have four sides and four corners, this week’s blog addresses four angles to explore when framing the novel. The second angle is to think through or study your genre. Each genre has a set of requirements or expectations. Knowing those parameters helps frame the story. I remember sitting in a conference workshop a few years ago when I first learned this reality. The presenter was talking about romance novels. She said there is a formula and if you want success, you need to implement it. It went along the lines of boy meets girl and they like each other but there is conflict. Somewhere along the line there is resolution and a first kiss. Then there is more conflict that threatens their relationship but they find a resolution and finally there is a wedding. Or something like that. The point is this: Your genre offers you a straight edge, a framework to guide your book. 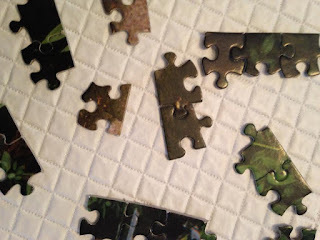 Plotting and identifying the story problem is another straight edge for piecing together a good novel. I’m not suggesting everyone needs to plan every detail or produce a sixty-page outline of the story they hope to complete. Far from it. Yes, I know many writers who claim to be “pantsters,” and don’t plan anything, though I suspect all writers have at least some notion of a story line when they sit down to compose their work. [Click HERE to read more about Plotters and Pantsters.] The truth is this: Good novels hook the reader in the first ten pages, the problem needs to be apparent early on, conflict needs to surface early and ramp up through the first three quarters of the book, you must have an idea of when to insert those critical turning points, and novelists need to be able to bring a satisfying end to the book. There are dozens of models out there to study and explore. A strong storyline provides a strong framework for the novel. There you have it. Four sides. Four angles. Straight edges to help writers create a framework to craft a meaningful story. Next week’s post will be about sorting through those myriad of colorful pieces to build scenes. I love to read your comments. Be sure to leave them in the section below. Remember, we’re all in this together. My youngest grandson likes to work puzzles. And he’s good at it. 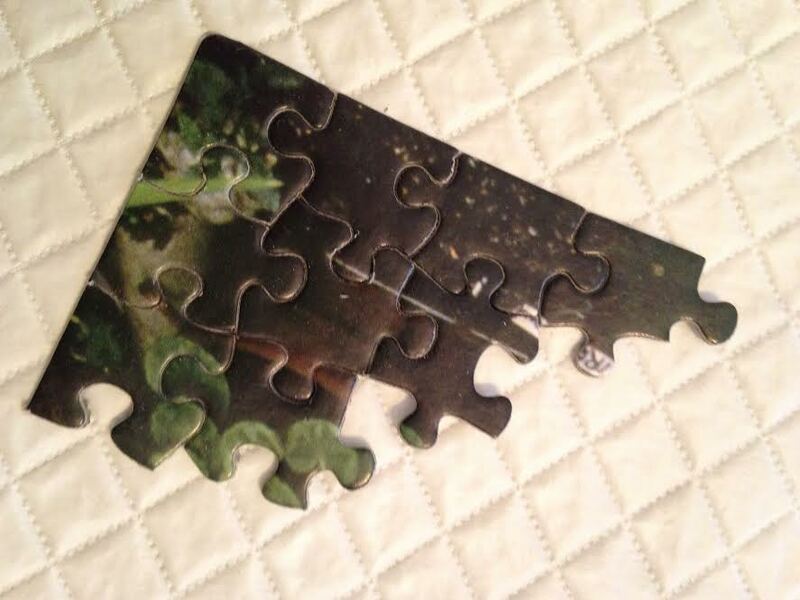 Not those “baby” puzzles where a piece will only fit one way. He’s beyond those tray puzzles with ten pieces, too. Augie is into puzzles well beyond his five years. He likes jigsaw puzzles. Like any good puzzler, Augie has learned a few tricks. He uses the box as a guide and hunts for the straight edges first. Have you ever picked up a jigsaw puzzle in a store, looked at the picture and thought, “That would be great for a winter day.” I have. Of course the puzzles I chose usually took longer than a day to complete. Our family would find ourselves eating off of TV trays. The initial burst of puzzle energy would soon give way to some other distraction for our girls. Tom and I would not give up. We would work late into the night and stay with the project until it was finished. The girls typically jumped back in as they could see the end in sight and there was always competition for who got to put in the last piece. The biggest difference in that experience and that of writing a novel is that typically the writer is in the fray alone from day one. As an author I see similarities and many lessons for novelists to be learned from working puzzles. The next few weeks I want to explore these elements. 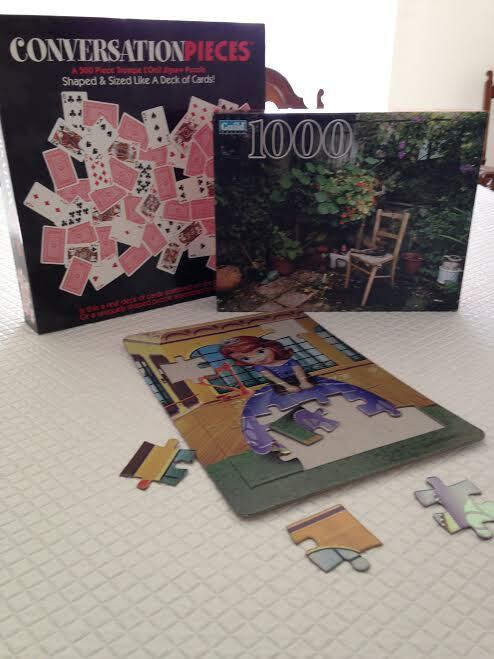 By the way, this notion came to me as I started one of my characters to work on a 1000 piece puzzle. We grab one, plunk down our money and take it home. Right? Well, not exactly. 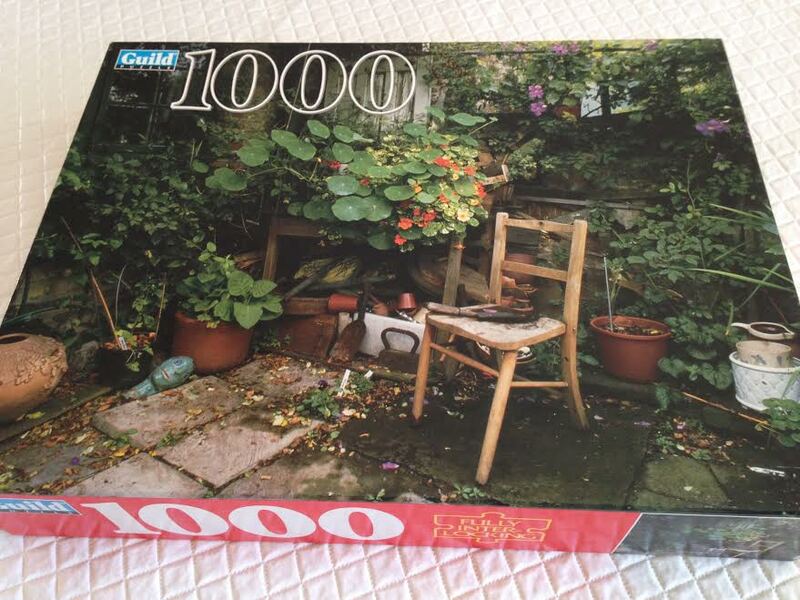 We may think the picture is great but notice it has a thousand pieces. The biggest puzzle we ever finished was only three hundred pieces. And it seemed to take forever. I do the same in writing. I’m guessing you have, too. I have a “picture” in mind about a novel I will write. I may question my ability to complete a bigger work. Maybe I’ve only written short stories before. Does that keep me from writing a short novel? Or if I wrote a short novel, does it mean I’ll never be ready to write 100,000 words? Of course not. I’m ready. I want to stretch myself and I’m willing to give up my dining room table for an extended period of time to meet my goal. The trick is this: Keep your eye on the box. Keep the picture of your novel in mind. Don’t lose sight of the goal. Know that with each word you are one piece closer to completing the puzzle. There is a famous story about Florence Chadwick. She was the first woman to swim from Catalina Island to the coast of California. Swimming the twenty-six miles is fanfare enough, but what is most remembered is her first attempt to swim it. She failed. She failed within a half mile of reaching her goal. Why? The fog was so thick, she lost sight of her destination. The year she completed the long swim was also plagued with fog. But this time, though she couldn’t physically see the California coast, she never lost sight of it in her mind. My husband held a PhD from the University of Cincinnati. He achieved international recognition for his work in ergonomics. However, Tom never claimed to be a brilliant scholar. He attributed his accomplishments to being persistent. He kept his eye on the prize. What strategies might work to help us “keep our eye on the box?” Please share your thoughts and ideas in the comment section. You don’t have to have used the idea, but please share. Remember, we’re all in this together.